This counter pack has space for 40 books. The Title selection may consist either of our top 10 selling titles or your own choice. All titles retail at the same price. The 40-copy counter pack is Free when ordered with stock, and is a great way to display the top selling titles in one area. 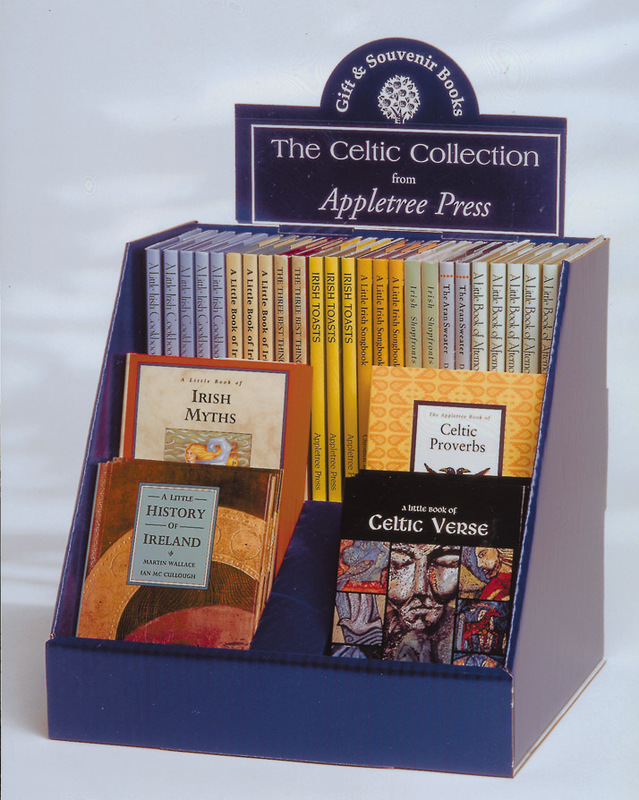 This counter pack is suitable for stocking the Appletree Press Irish giftbook range or our new Appletree Pocket Guides. The image shows the 40-Copy Counter Pack as full, and is for illustration purposes only. Please refer to the Appletree Press Order Form PDF for further details of current titles. Our representatives and agents will always be glad to discuss aspects of display and merchandising with you.